Tom Mulcair, Leader of the Official Opposition, has explained that were the PM to appear in a court of law, he would lose (yet again). This projected outcome isn’t at all surprising, considering Mr. Harper isn’t a lawyer like his (chief) opponent. 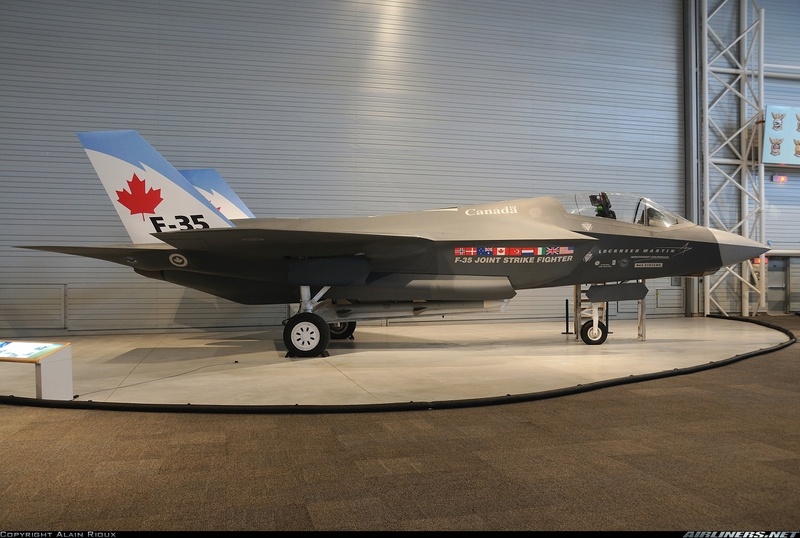 Does that mean we need F-35s? Since it’s this particular government we’re talking about, I hope neither Mr. Mulcair nor Mr. Trudeau are surprised by the secretiveness. I don’t think anyone else is. Yet both of those gentlemen are optimists. They have reason to continue to be optimistic with the recent revelations that suggest the Cons aren’t too convincing. Our fearless leader, safely leading our charge into battle from his plush commons seat, has stated he wants to avoid a “quagmire” with the mission. It may not be immediately clear what sort of quagmire Harper is talking about here. You have to go back a decade or so, to when he was the leader of the briefly named CRA (Conservative Reform Alliance), brief due to what happens when you append “Party” to the end of the acronym. A very different American President then decided to wade into the Middle East using Gun Boat Politics, and our Prime Minister at the time flip-flopped behind. In the end, Jean Chretien decided not to drag Canada into a messy war that wasn’t recognized by the UN, opting to invade Afghanistan instead. The decision not to go to Iraq with the Americans and the British is still considered a defining moment of his premiership and political career. Stephen Harper was then the young, energetic underdog serving as leader of the Official Opposition. With only 66 seats in a majority Parliament, he co-authored a letter to the Wall Street Journal where he decried Chretien’s lack of support (even though most Canadians supported Chretien’s decision) and pledged his own. Five years later, during the 2008 election campaign, then Prime Minister Harper (starting to go grey) was grilled on his support for Iraq by Bloc Quebecois leader Gilles Duceppe. Harper admitted that he was wrong, and that going into Iraq would have been a mistake. Canadians liked his answers; they rewarded him with another landslide minority government. Shocking as it was for our hallowed Prime Minister to admit that he and his party were mistaken, he can hopefully prove his point to the Opposition. Until he gets around to that, his party is trying a different—but often used—tactic: taking pot shots at the Opposition parties’ “lack of support” for our military. For instance, conservative MP for Renfrew-Nipissing-Pembroke Cheryl Gallant has posted on her web page that “The Official Opposition in Ottawa cannot decide whether it supports our men and women in uniform.” Her accusation of the Opposition’s lack of support is only right because the Opposition hasn’t actually had the opportunity to vote on either the previous or future Iraq deployments. Yet they are supposed to do so soon, and the result might clear some of that confusion up. There is a difference (albeit undifferentiated by Conservative MPs) between not supporting a mission and not supporting our military. Unless there is a caucus revolt within Conservative ranks, it appears that we will officially get in neck-deep with the Americans by the weekend. Dealing with the Islamic Extremists in Iraq is a noble cause, but the PM had better step up his game if he’s going to sell a full blown mission to Canadians without seeming like he’s making a major mistake—particularly with the current state of our armed forces. Repairs will be costly, and so will a war. It might even upset the balanced budget Mr. Harper is promising. Then again, wartime sometimes seems to allow for stable governments. Maybe that’s our PM’s tactic. Let’s just hope he doesn’t decide to make the deployment a confidence vote.